Jövőre a Citroën Total Abu Dhabi WRT rali csapata elszántan fog küzdeni a győzelemért, ezért örömmel jelenti be, hogy az ötszörös rali világbajnok Sébastien Ogier és Julien Ingrassia 2019-ben újra a csapathoz igazolnak. 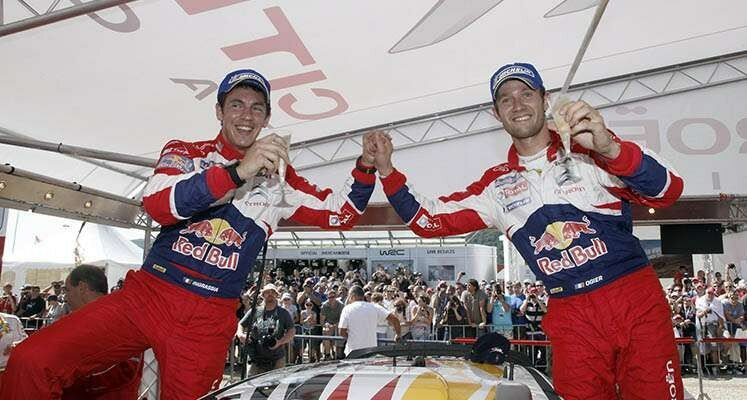 "Ten years ago, at the 2008 Wales Rally GB, Sébastien Ogier and Julien Ingrassia, then the newly-crowned Junior World Rally Champions, made a stunning debut in the C4 WRC as they won the opening test – claiming their first WRC stage win in the process – and led the race until SS5. With the 2018 edition of the British round next up on the calendar, the timing could not be better to announce the return of the five-time world champions (2013 to 2017) to Citroën Total Abu Dhabi WRT, the team where it all began! world rallying, Sébastien is convinced by the potential of the car and the determination of a team that he knows well. Driven by their mutual desire to work together again, they are looking forward to adding to a joint record that already features seven overall wins. Just before the start of the 2018 Paris Motor Show (4- 14 October), where the C3 WRC will be on display, the reunion of the French crew and team is great news for fans, who are undoubtedly already looking forward to the start of next season at the 2019 Rallye Monte-Carlo (22-27 January)!"